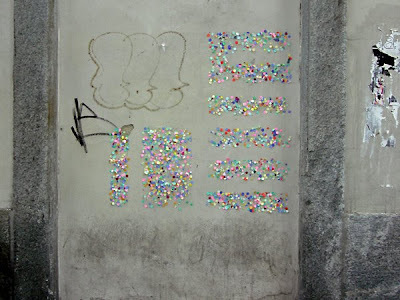 Spanish street artist Eltono has been hitting the streets recently creating graffiti using confetti and paste. Check his website to see more pictures and the colourfull gallery installation he created also using confetti. what happened to all the thinkers?? ?